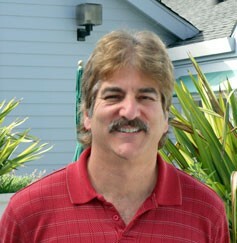 Sebastopol Dentist Dr. Benstock is a 1984 graduate of Emory University, where he received his doctorate in dentistry. He has dedicated his professional career to providing you with the best that dentistry has to offer. Dr. Benstock is continuously educating himself & his staff on the newest techniques & approaches to provide you with advanced, antiseptic, state-of-the-art, comfortable & personalized dental care. In his continuing education, Dr. Benstock has completed courses in Invisalign, periodontics (gum therapy), laser therapy, endodontics (tooth roots), cosmetic dentistry, sedation dentistry, oral surgery & antiseptic techniques. He is a member of the California Dental Association, Redwood Empire Dental Society, Dental Organization for Conscious Sedation & the American Dental Association. Dr. Benstock loves history, skiing, hiking, traveling, golf, singing & playing bass guitar. His travels have taken him to Europe, Australia, Mexico, Hawaii, Israel & Costa Rica. Dr. Benstock also regularly sponsors Sebastopol youth sports. He is a fun-loving, outgoing individual who genuinely cares about your health & well-being. If you are looking for a dentist who will be there for you not just today and tomorrow, but for all your dental needs and those of your family for years to come, Benstock Dental Care is the practice for you. Providing high-quality dental care, top tier customer service, and compassionate dentistry for over twenty three years, Dr. Scott Benstock is dedicated to building long-term relationships with our patients and their families in Sebastopol. When you come to Benstock Dental Care, your family becomes our family. We treat you how we would like to be treated, and you can be assured that you will receive nothing less than the best dental care we can provide. From family dental care and esthetic crowns, to veneers and dentures, we help patients of all ages to achieve and maintain a beautiful smile.